摘要 在页岩油气藏的开发和勘探阶段，需要对储层进行水力压裂改造，形成有利于油气聚集和运移的裂缝.地应力是进行水力压裂改造的重要参数，能够决定裂缝的大小、方向以及分布形态，影响着压裂的增产效果，且最大和最小水平应力差异比（ODHSR，Orthorhombic Differential Horizontal Stress Ratio）是评价储层是否可压裂成网的重要因子.本文探讨了基于地震数据估算地应力的方法，以指导页岩气的水力压裂开发.首先，利用叠前方位地震数据反演得到地层的弹性参数和各向异性参数；其次，基于正交各向异性水平应力差异比近似公式，利用反演得到的弹性参数和各向异性参数估算地层的ODHSR；最后，选取某工区的裂缝型页岩储层的叠前方位地震数据对该方法进行实际应用.实际工区地震数据应用表明，基于叠前方位地震数据反演得到的ODHSR能够有效的识别储层中易于压裂成网的区域. Abstract：During exploration and production stages of shale oil and gas, hydraulic fracturing is required to be made on the reservoirs to form cracks which are favorable for hydrocarbon accumulation and migration. As one of the important parameters for hydraulic fracturing, crustal stress can determine the size, orientation and distribution of cracks as well as influence the fracturing stimulation. The differential ratio of the maximum and minimum horizontal stresses (i.e., orthorhombic differential horizontal stress ratio, ODHSR) is an important factor to evaluate whether the area will have a greater tendency to fracture into a network. In this paper, we present the method of estimating stress based on azimuthal pre-stack seismic data, which is used to guide hydraulic fracturing. Firstly, the elastic and anisotropic parameters of the formation are obtained from inversion of azimuthal pre-stack seismic data. Secondly, based on the approximation formula of ODHSR, we estimate the ODHSR using the inverted elastic and anisotropic parameters of the formation. Finally, pre-stack seismic data of a work area is utilized to validate the application of the proposed stress prediction method. The practical test shows that the method can efficiently help identify the areas that are easy to create crack networks. Amadei B, Stephansson O. 1997. Rock Stress and Its Measurement. London:Chapman & Hall. Biot M A, Willis D G. 1957. The elastic coefficients of the theory of consolidation. Journal Applied Mechanics, 24:594-601. Bourgoyne A T, Millheim K K, Chenevert M E, et al. 1986. Applied Drilling Engineering. Richardson, Texas:Society of Petroleum Engineers. Chen T S, Wei X C, Liu Y. 2006. New approximation formula for calculation of elastic Impedance in anisotropic media. Geophysical Prospecting for Petroleum (in Chinese), 45(6):563-569. Cleary M P. 1993. Mechanics,Modeling,and Implementation of Hydraulic Fracturing Using the GRI FRACPRO System. Short Course Notes. Houston, Texas. Connolly P. 1999. Elastic impedance. The Leading Edge, 18(4):438-452. Cornet F H, Valette B. 1984. In situ stress determination from hydraulic injection test data. Journal of Geophysical Research:Solid Earth, 89(B13):11527-11537. Cornet F H. 1986. Stress determination from hydraulic tests on preexisting fractures-the H.T.P.F. method.//ISRM International Symposium. Stockholm, Sweden:International Society for Rock Mechanics and Rock Engineering, 301-312. Gies R M. 1987. An improved method for viewing micro pore systems in rocks with the polarizing microscope. SPE Formation Evaluation, 2(2):209-214. Gray F D, Schmidt D P, Delbecq F. 2010a. Optimize shale gas field development using stresses and rock strength derived from 3D seismic data.//80th Ann. Internat Mtg., Soc. Expi. Geophys. Expanded Abstracts. Gray F D, Anderson P F, Logel J, et al. 2010b. Estimating in-situ, anisotropic, principal stresses from 3D seismic.//72nd EAGE Conference and Exhibition Incorporating. SPZ, EAGE. Gray F D, Anderson P F, Logel J, et al. 2010c. Principle stress estimation in shale plays using 3D seismic. GeoCanada2010. Gray F D. 2011. Methods and systems for estimating stress using seismic data. United States Patent Application 20110182144. 2011-07-28. Gray F D, Anderson P F, Logel J, et al. 2012. Estimation of stress and geomechanical properties using 3D seismic data. First Break, 30(3):59-68. Haimson B C. 1968. Hydraulic fracturing in porous and nonporous rock and its potential for determining in situ stresses at great depth[Ph. D. thesis]. Minneapolis:University of Minnesota. Hast N. 1969. The state of stress in the upper part of the earth's crust. Tectonophysics, 8(3):169-211. Iverson W P. 1995. Closure Stress Calculations in Anisotropic Formations.//65th Ann. Internat Mtg., Soc. Expi. Geophys. Expanded Abstracts. Leeman E R. 1964. The measurement of stress in rocks. Journal of the South African Institute of Mining and Metallurgy, 65(2):45-114. Li Z M, Zhang J Z. 1997. In-Situ Stress and Petroleum Exploration & Development (in Chinese). Beijing:Petroleum Industry Press. Logan J M, Teufel L M. 1978. The prediction of massive hydraulic fracturing from analyses of oriented cores.//19th U. S. Symposium on Rock Mechanics. Reno, Nevada:American Rock Mechanics Association, 340-347. Ma N, Yin X Y, Sun X Y, et al. 2017. The in-situ stress seismic prediction method based on the theory of orthorhombic anisotropic media. Chinese Journal of Geophysics (in Chinese), 60(12):4766-4775, doi:10.6038/cjg20171218. Mathar J. 1934. Determination of initial stresses by measuring the deformation around drilled holes. Trans. ASME, 56:249-254. Matsuki K, Takeuchi K. 1993. Three-dimensional in situ stress determination by anelastic strain recovery of a rock core. International Journal of Rock Mechanics and Mining Sciences & Geomechanics Abstracts, 30(7):1019-1022. Ruger A. 1996. Reflection coefficients and azimuthal AVO analysis in anisotropic media[Ph. D. thesis]. Colorado:Colorado School of Mines. Schoenberg M, Sayers C M. 1995. Seismic anisotropy of fractured rock. Geophysics, 60(1):204-211. Simmons G, Siegfried R W, Feves M L. 1974. Differential strain analysis:a new method for examining cracks in rocks. Journal of Geophysical Research, 79(29):4383-4385. Stephansson O. 1983a. Rock stress measurement by sleeve fracturing.//5th ISRM Congress. Melbourne, Australia:International Society for Rock Mechanics and Rock Engineering, F129-F137. Stephansson O. 1983b. Sleeve fracturing for rock stress measurements in boreholes. Proc. Int. Symp. Essais en Place, In Situ Testing, 2:571-578. Sugawara K, Kameoka Y, Saito T, et al. 1978. A study on core discing of rock. Journal of the Mining Institute of Japan, 94(1089):797-803. Teufel L W. 1983. Determination of in-situ stress from anelastic strain recovery measurements of oriented core.//53th Ann. Internat Mtg., Soc. Expi. Geophys. Expanded Abstracts, 421-430. Voight B. 1968. Determination of the virgin state of stress in the vicinity of a borehole from measurements of a partial anelastic strain tensor in drill cores. Felsmechanik und Ingenieurgeologi, 6(4):201-215. Warpinski N R, Teufel L W. 1989. In-situ stresses in low-permeability, nonmarine rocks. Journal of Petroleum Technology, 41(4):405-414. Whitcombe D N. 2002. Elastic impedance normalization. Geophysics, 67(1):60-62. Yin X Y, Cao D P, Wang B L, et al. 2014. Research progress of fluid discrimination with pre-stack seismic inversion. Oil Geophysical Prospecting (in Chinese), 49(1):22-34, 46. Yin X Y, Zong Z Y, Wu G C. 2015. Research on seismic fluid identification driven by rock physics. Science China Earth Sciences, 58(2):159-171. Yin X Y, Liu X X. 2016. Research status and progress of the seismic rock-physics modeling methods. Geophysical Prospecting for Petroleum (in Chinese), 55(3):309-325. Zang A, Stephansson O. 2010. Stress field of the earth's crust. Netherlands:Springer. Zoback M D. 2007. Reservoir geomechanics. New York:Cambridge University Press. Zong Z Y, Yin X Y, Wu G C. 2012. AVO inversion and poroelasticity with P-and S-wave moduli. Geophysics, 77(6):N17-N24. Zong Z Y, Yin X Y, Wu G C. 2012a. Fluid identification method based on compressional and shear modulus direct inversion. Chinese Journal of Geophysics (in Chinese), 55(1):284-292, doi:10.6038/j.issn.0001-5733.2012.01.028. Zong Z Y, Yin X Y, Zhang F, et al. 2012b. Reflection coefficient equation and pre-stack seismic inversion with Young's modulus and Poisson ratio. 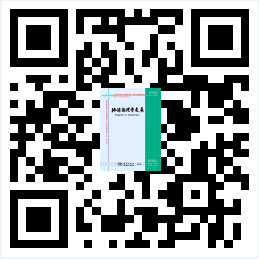 Chinese Journal of Geophysics (in Chinese), 55(11):3786-3794, doi:10.6038/j.issn.0001-5733.2012.11.025. Zong Z Y, Yin X Y, Wu G C. 2013. AVAZ inversion and stress evaluation in heterogeneous medium.//83th Ann. Internat Mtg., Soc. Expi. Geophys. Expanded Abstracts, 428-432. 陈胜天, 魏修成, 刘洋. 2006. 一种新的各向异性弹性阻抗近似公 式. 石油物探, 45(6):563-569. 李志明, 张金珠. 1997. 地应力与油气勘探开发. 北京:石油工业出版社. 马妮, 印兴耀, 孙成禹等. 2017. 基于正交各向异性介质理论的地应力地震预测方法. 地球物理学报, 60(12):4766-4775, doi:10.6038/cjg20171218. 印兴耀, 曹丹平, 王保丽等. 2014. 基于叠前地震反演的流体识别方法研究进展. 石油地球物理勘探, 49(1):22-34, 46. 印兴耀, 宗兆云, 吴国忱. 2015. 岩石物理驱动下地震流体识别研究. 中国科学:地球科学, 45(1):8-21. 印兴耀, 刘欣欣. 2016. 储层地震岩石物理建模研究现状与进展. 石油物探, 55(3):309-325. 宗兆云, 印兴耀, 吴国忱. 2012a. 基于叠前地震纵横波模量直接反演的流体检测方法. 地球物理学报, 55(1):284-292, doi:10.6038/j.issn.0001-5733.2012.01.028. 宗兆云, 印兴耀, 张峰等. 2012b. 杨氏模量和泊松比反射系数近似方程及叠前地震反演. 地球物理学报. 55(11):3786-3794, doi:10.6038/j.issn.0001-5733.2012.11.025. 王志伟, 符力耘, 张艳, 魏伟. 龙马溪组页岩数字岩芯超声响应数值模拟及散射特征分析[J]. 地球物理学报, 2018, 61(3): 1069-1082. 邓继新, 唐郑元, 李越, 谢健, 刘洪林, 郭伟. 成岩过程对五峰-龙马溪组页岩地震岩石物理特征的影响[J]. 地球物理学报, 2018, 61(2): 659-672. 李红敬, 林正良. 页岩储层可压裂性地震预测方法新进展[J]. 地球物理学进展, 2017, 32(6): 2466-2471. 姚瑞, 杨树新, 谢富仁, 崔效锋, 陆远忠, 许兆义. 青藏高原及周缘地壳浅层构造应力场量值特征分析[J]. 地球物理学报, 2017, 60(6): 2147-2158. 孟文, 郭长宝, 张重远, 张永双, 陈群策. 青藏高原拉萨块体地应力测量及其意义[J]. 地球物理学报, 2017, 60(6): 2159-2171. 赵军, 代新雲, 卢一凡, 唐深华. 基于逾渗模型的泥页岩导电机理模拟[J]. 地球物理学报, 2017, 60(5): 2020-2028. 梁正中, 王镜惠, 余天洪. 中国东部页岩气藏与超压体系共生关系初探[J]. 地球物理学进展, 2017, 32(4): 1591-1596. 丰成君, 张鹏, 孟静, 戚帮申, 秦向辉, 牛琳琳, 孙东生, 孙炜峰, 谭成轩, 陈群策. 郯庐断裂带及邻区深孔地应力测量与地震地质意义[J]. 地球物理学进展, 2017, 32(3): 946-967. 刘财, 乔汉青, 郭智奇, 张冰, 刘喜武. 基于粒子群算法的页岩孔隙结构反演及横波速度预测[J]. 地球物理学进展, 2017, 32(2): 689-695. 李春荣, 饶松, 胡圣标, 汪集旸, 魏志红, 黄庆球, 胡东风, 郭旭升. 川东南焦石坝页岩气区现今地温场特征[J]. 地球物理学报, 2017, 60(2): 617-627. 马妮, 印兴耀, 孙成禹, 宗兆云. 基于正交各向异性介质理论的地应力地震预测方法[J]. 地球物理学报, 2017, 60(12): 4766-4775. 金武军, 李军, 武清钊, 路菁, 苟其勇. 页岩气储层渗透率测井评价方法研究[J]. 地球物理学进展, 2017, 32(1): 177-182. 马勇胜, 张春贺, 田玉昆, 马彦彦. 地震约束下时频电磁法识别富有机质页岩层系研究[J]. 地球物理学进展, 2016, 31(6): 2618-2626. 盛秋红, 李文成. 泥页岩可压性评价方法及其在焦石坝地区的应用[J]. 地球物理学进展, 2016, 31(4): 1473-1479. 张旗, 金维浚, 王金荣, 陈万峰, 李承东, 焦守涛, 邵国良. 岩浆热场对油气成藏的影响[J]. 地球物理学进展, 2016, 31(4): 1525-1541.